Many animals have extremely keen vision, including bald eagles and red-tailed hawks, just to start. In the world of mice (genus Mus), however, eyesight definitely isn't one of the strongest senses. Mice have notably bad vision, as do rats, their kin. 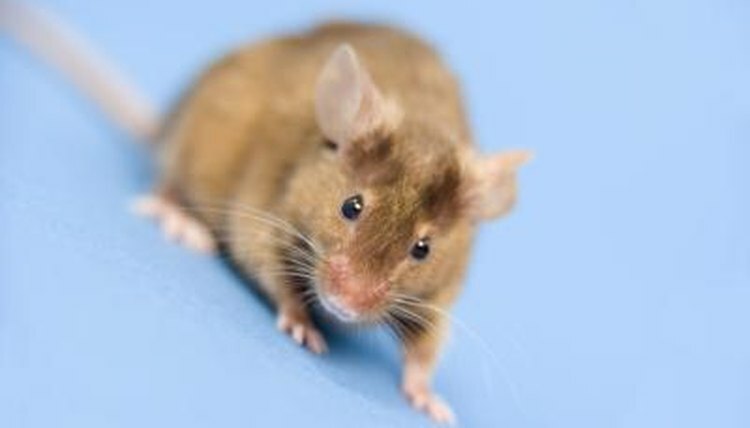 Mice have poor eyesight and frequently run into things that are in their surroundings. They also can't see certain colors, including red. Vision-wise, it isn't all bad news for the wee critters, however. Their eyes conveniently jut out prominently from their heads, which enables them to pick up on motion from all different sides. Mice can make focal points out of things that are between 1 and 2 feet away in distance. However, they can pick up on motion as far away as 45 feet. Since mice follow nocturnal patterns and are mostly out and about in dark conditions, they heavily depend on their whiskers to get them from point A to B. Their whiskers notify them if they're on the verge of running into something, for example. The weak vision of mice sometimes can be helpful for people trying to figure out if they're lurking somewhere in their homes. When mice are moving around inside, their bodies often touch up against walls, simply because they can't see much. This frequently results in their leaving signature smears wherever they go -- a result of dirt and grease from their bodies coming off them. If you see subtle and unidentifiable smears on your walls, they could just be the work of a mouse and his less-than-perfect eyesight. These smears develop gradually. When mice go from food sources to resting spots, they repeat the same trails over and over until their bodies leave these hints behind. Although mice can't see well, luckily they possess good hearing, courtesy of their big ears, that helps balance things out. They're capable of picking up on sounds that are far too shrill for people to hear. This conveniently assists them in staying away from approaching potential predators. Their senses for feeling, smelling and tasting are also good. When they're on the lookout for sustenance sources, their noses guide the way. Mice have bad eyesight all throughout their lives. As an altricial group, mice youngsters begin their lives with closed eyes, unlike their fellow rodents, guinea pigs. Their eyes don't stay shut for too long, however. Once baby mice are at least two weeks in age, they're usually open.